Perhaps that’s true, Shakespeare, but I contend that no one would have heard of it. Given another name, a rose would be as forgotten and overlooked as these beauties. They have all the subtle beauty and delicate refinement as their cousin bloom, but lack the poetic name that inspires dreamers and lovers. I have lost untold minutes watching the metamorphosis from tightly fisted buds to sunbursts of paper tissue petals. If I had been Georgia O’Keefe, I would have painted these. The poor dears have been condemned to a life of obscurity due to the most unfortunate of monikers. Can anyone guess the name of my favorite flower? At first glance I thought they were peonies (but the leaves didn’t look like the peonies in my garden) then I remembered the ranunculus. If only my MIL were here to help me out, she’s a flower whiz. 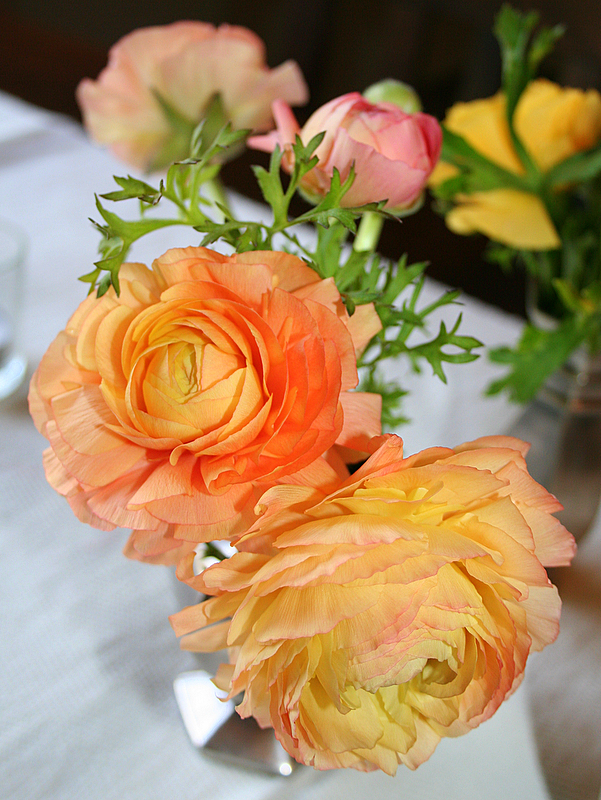 So, my tentative answer is ranunculus. Poor, poor flower, you simply cannot create a rhyme with that one! Ranunculas is right! And they are beautiful – still looking look from Tuesday? 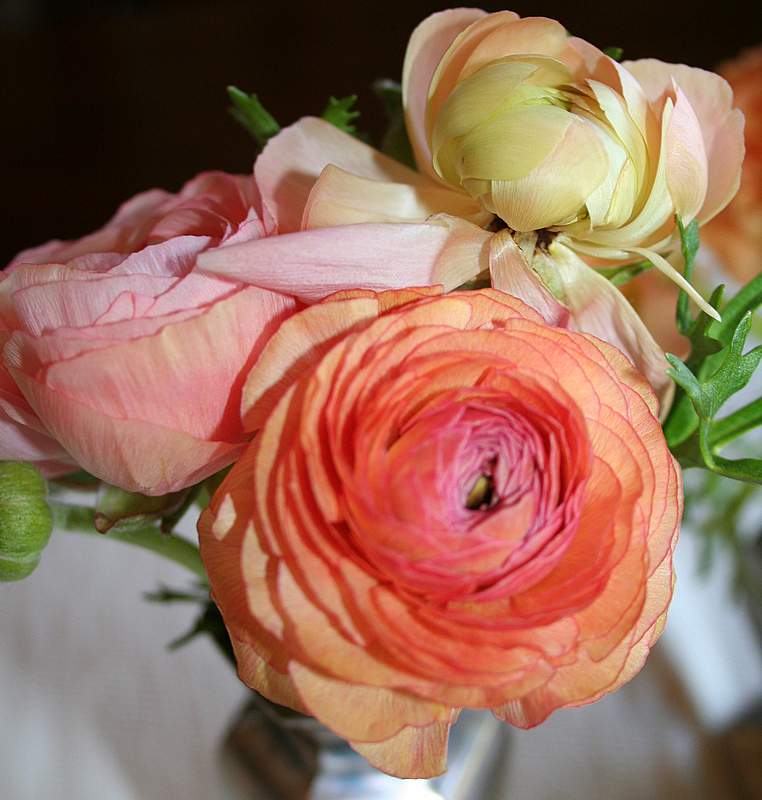 I agree; those have to be ranunculus. I fell in love with them during our time in San Diego. The Carlsbad Flower Fields sport millions of them this time of year, in every shade of the rainbow, on a hill overlooking the ocean. You are all too clever! 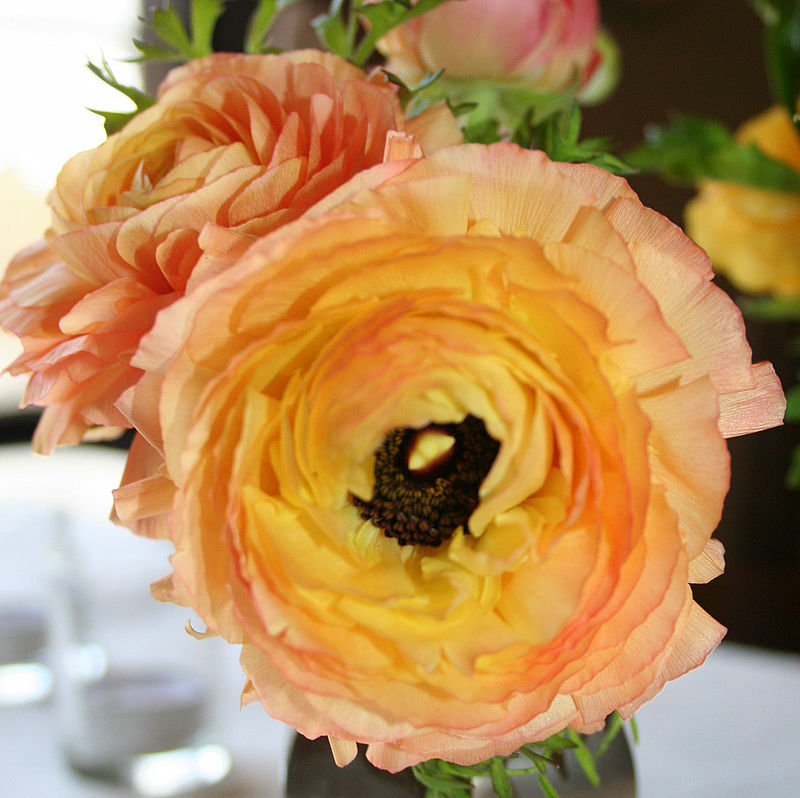 Kelly, I can’t believe that you lived where ranunculus grow in large fields. Sounds amazing. So do you agree about the dreadful name? Honestly, it’s sounds like a vaccination for a rhinoceros. Agree! Dreadful name, and so hard to remember. When I was a flower snob working at Stems and Vines back in the day, I would tell Kåre as tactfully as possible that I preferred ranunculus, hydrangea, or delphinium, for example, to roses and babies’ breath. Do you think the poor guy could remember what he was looking for when he got to the flower shop? At least I haven’t gotten roses with babies’ breath since.